Small town charm and friendly people make living, working, and playing in Laurel a year-round joy. At Laurel Health and Rehabilitation Center we work to make a difference in our resident’s lives. We are always looking for professional and compassionate individuals to join our team. We are a 79-bed skilled nursing facility providing both short-term rehabilitation and long-term care. 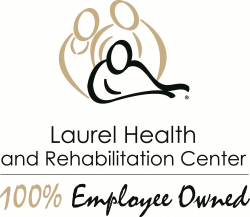 Laurel Health and Rehabilitation Center is an equal opportunity employer.